India has an immense potential to generate solar energy due to its geographical advantage. The progress however has not been phenomenal. Nevertheless, there are still thousands of projects scattering in different parts of the country that requires proper management, operation and maintenance. To realize the true value potential of each solar project, professional O & M services become an important requisite. It is observed that those PV systems that do not follow a planned maintenance program do not provide the best ROI to the customers. Therefore, solar O & M services in India must be taken up more seriously and in a planned way. Short-Term Profits or Long-Term Losses? Until the recent times, solar O & M focused mainly on a reactive approach and repair side of the service. 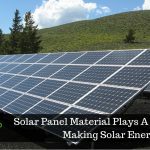 This comprises activities such as cleaning the modules, replacing defective inverters, monitoring the performance of the solar array, keeping the trees and other obstructions between sunlight and PV panels clear. In quest of making quick profits, solar O & M services are often placed on the backburner. 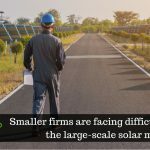 Downplaying O & M to make the solar project more cost-effective can have negative implications for the long-term life of your solar PV PV system. A solar PV PV system is an investment the fruits of which ripen over a long time to reap incredible benefits. So always refrain from under-budgeting the solar O & M services to enhance short-term profits. Being proactive brings tremendous value. When your approach is not proactive and if it ignores O & M activities, the PV PV system will be plagued with failed power production incurring large hidden costs. During the design and construction phase, estimations on the expected power that can be generated is made. Based on this customers plan, forecast and budget their solar endeavors. An underperforming solar project will shake the future financing of the PV developers to their roots. And to add insult to injury, expensive material and additional resources to repair and manage the asset will pile up undesirable costs. This will not only damage the reputation of the builder, but also the credibility of solar energy solutions to provide a cost-effective energy alternative. The stakeholders viz. investors, EPCs and asset owners associated with a solar energy generation PV PV system must realize the importance of O & M services from the very early stages of the design and procurement. And this proactive ideological working should continue forward unperturbed all the way through the life of the project. 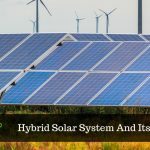 Getting the maximum return on investment requires a combination of well-designed and well-built system along with a sensible O & M plan that can offer highest value to your solar endeavors. In an all-inclusive O & M strategy, all the parties involved right from the system owner and building host to the specialist O & M team and the monitoring firm, must agree and work as per their defined roles. This is the ultimate mantra of success for your solar PV PV system. A larger project maintenance strategy combines and progresses with all the parties involved knowing very well their roles and responsibilities.